Open to: beginner and experienced writers either attending the whole festival or just coming to this workshop. Book now £45 via paypal or any card here. Max number of places 20. Payment also includes entry to the Friday evening of flash fiction readings 6.00 pm – 9.30 pm. 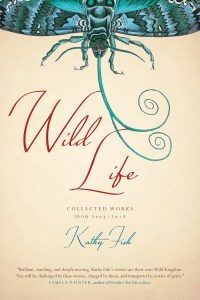 Kathy Fish has authored five collections of short fiction, most recently Wild Life: Collected Works from 2003-2018, from Matter Press. Her award-winning short stories, prose poems, and flash fictions have been widely published and anthologized. Fish’s ‘Collective Nouns for Humans in the Wild’. which addresses the scourge of America’s gun violence and mass shootings, was selected for Best American Nonrequired Reading 2018, edited by Sheila Heti. The piece was also chosen by Aimee Bender for Best Small Fictions 2018. Additionally, two of Fish’s stories are featured in the W.W. Norton anthology, New Micro: Exceptionally Short Fiction. She is a core faculty member in fiction for the Mile High MFA at Regis University in Denver, Colorado. She also teaches her own intensive online flash workshop, Fast Flash. We are delighted that Kathy is able to offer this extra workshop which is also open to those not attending the festival. She is well-known for her online intensive ‘Fast Flash’ classes which attract flash fiction writers from all over the world and are always sold out. The flash fictions which writers begin as drafts in Kathy’s workshops, frequently go on to be published in major magazines, win or be placed inflash fiction competitions and be nominated for and included in international flash fiction anthologies. Kathy judges many international competitions and was the judge for Bath Flash Fiction Award in February 2017. 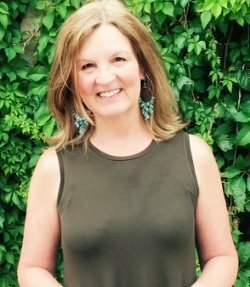 Read the judge’s interview with her to find out the many interesting things Kathy has to say about flash fiction. Her recently published book of collected stories Wild Life published by Matter Press, 2018 will be available at the festival bookshop.